Strong, flexible mesh with 19mm hole. 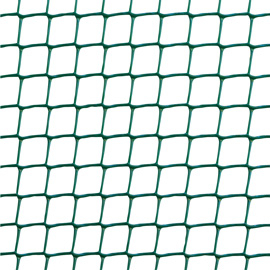 Strong, flexible mesh with 50mm hole. 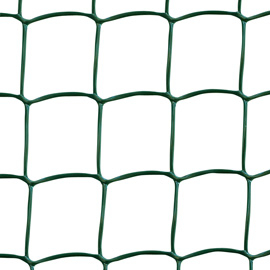 Our green plastic mesh is ideal for making a quick and easy tree guard. The mesh can be cut, the rolled into a cylinder and cable tied together. The 19mm hole is a deterrent against smaller animals, and the 50mm hole can be used as a deterrent for larger animals. Plastic mesh tends to be used as a temporary tree guard. If you are looking for something more substantial, then please contact our sales team on 01782 820 970 for information on welded steel mesh guards.